(Best Places To Eat Vada Pav in Mumbai) Mumbai, the city of dreams or the city that never sleeps, is famous for numerous things. But one of the most famous things the city has to offer is ‘Vada Pav’. Often commonly referred as the ‘Indian Burger’ or the ‘Poor Man’s Burger’, this snack is probably the best street food one can have. 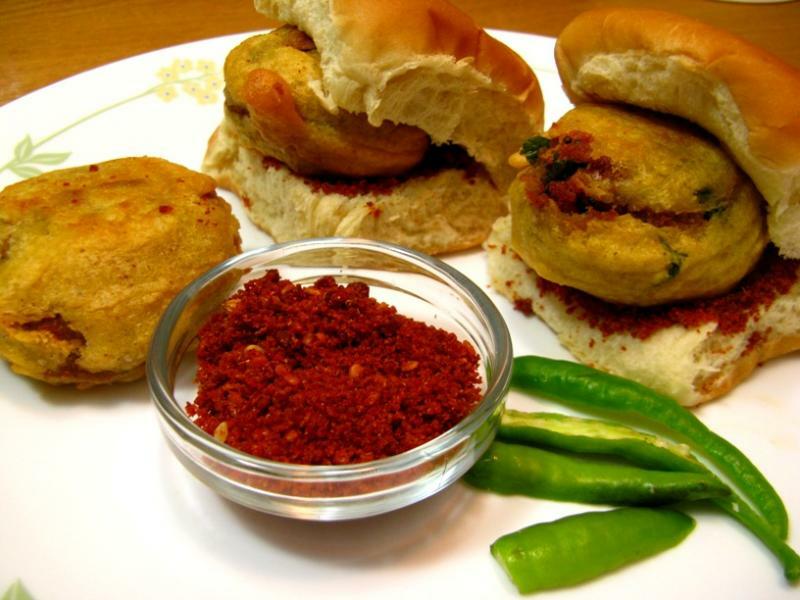 Vada Pav has originated from the Maharashtrian snack ‘batata vada’. Vada Pav is basically a fried potato patty squeezed between two slices of bread or Pav, garnished with chili and 3 types of chutneys. There are thousands of stalls providing this snack and one can easily find a place on almost every other street corner in Mumbai. In addition to this, Vada Pav is satiating, affordable and is even time-saving, which makes this snack the favorite among the fast-paced life of Mumbaikars. Hence, if you are in Mumbai even for a day, then you ought to try this snack. Below are some of the Best Places To Eat Vada Pav in Mumbai! Parleshwar Vada Pav Samrat is located on Nehru Road, Vile Parle East. This stall offers jumbo sized Vada Pavs, with a unique addition of chopped coconut blended with the potato. Along with this, they also offer a great variety of bhajis and samosas, most popular among which is the Chinese bhajia. Another interesting fact about Parleshwar is that they put up photos of their customers eating there, making one feel like a celebrity. Situated just outside Byculla railway station (West), this Vada Pav joint has been in the business for around 2 decades now. What makes this place one of the best places to eat vada pav in Mumbai, is their authenticity and the chutneys they serve. They operate from a small shop only, explaining that a bigger one might slow down their pace. This stall sells one of the highest numbers of Vada Pavs on a daily basis. Jumboking has been operating for more than 15 years and its name is actually inspired by Burger King. They have a huge number of outlets all throughout India and have a vast variety of Vada Pavs. So, if you are someone who loves variations then Jumboking is the place to go. Apart from Vada Pav, they also offer wraps and fries. The only drawback here is that Jumboking Vada Pavs are much costlier than others. One of the oldest Vada Pav shops in Mumbai, Ashok Vada Pav has been running for about 35 years and is one of the best places to eat vada pav in Mumbai. This stall is located in Dadar near Kirti College. The best feature about them is the quality of Vada Pav they serve. Right from the chutney to the patty everything is just perfect. Famous Bollywood celebrities like Madhuri Dixit, Jackie Shroff, and Sonu Nigam have visited this stall. Located just opposite Mithibai College in Vile Parle West, Anand Vada Pav is popular among college students. It is always busy with students and offers one of the tastiest Vada Pavs with an additional touch of butter. Considering the tough competition from all the food stalls around, it is one of the best places to eat vada pav in Mumbai.